Never again! Never again would I be ensorcelled into reading a multi-volume epic fantasy. I have failed. 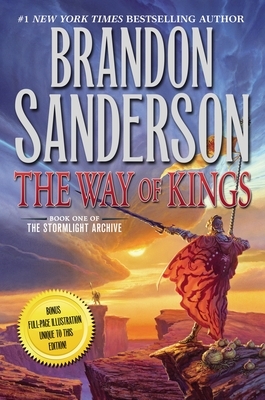 Sanderson's The Way of Kings is a breezy adventure encased in a door-stopping package. Seriously: I read all 1,252 pages in two and a half days. Then, forgoing sleep and nourishment, I finished the sequel (Words of Radiance) and another book within the same universe (Warbreaker) the following week. So yes, Sanderson, cast me wherever thou wilt! Your stories are refreshing, your universe filled with Easter eggs, and Wit. I look forward to reading ALL of your books.